I recently took some time away from social media and mainly my blog as sadly my grandad passed away last month, and I found it hard to keep motivated with my blog if i'm honest. It's been a long process and I still have my down days, but thankfully I'm starting to have more good days than bad, and am planning lots of new things! I shot a couple of outfits today, and decided to make a little 'Ways to Style' series. I hope you like it! I thought i'd kick off my style series with the most common way you guys may wear a duster jacket - With a simple tee or crop top and jeans. I really love how this shade of pink can work for summer or Autumn, with black, white or grey. Maybe even a few other colours on an adventurous day too! I decided to get mine a little bigger than my other jackets as layering is essential for this time of year. One day it can be super warm and sunny, and the nex day it feels about five degrees outside! This black gypsy crop and ripped jeans combo from WearAll is definitely something i'll be wearing again! Both are super stretchy and comfortable. The distressing to the knees and ankles make these jeans the coolest denim piece in my wardrobe - Would you believe I've lost all my other ripped high waisted jeans?! 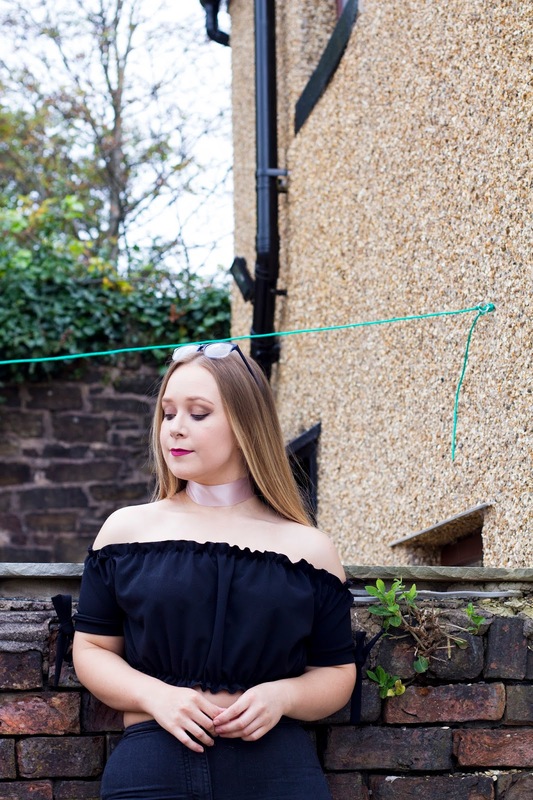 I'm also loving the gypsy top and frilled hems i've been seeing online and on the high street recently, so I can tell i'm going to get tons of wear out of this cute little crop - day or night! Sorry to hear about your grandfather passing, must have been a hard time. I love how you have styled the jacket as well as your entire outfit and accessories. Keep it up! Thank you, it was hard but things like that slowly get better after time. It's just important to give yourself some space from everything to recover.